Rick Wheeler attended Westminster Choir College in Princeton, N.J. He studied privately with Alan Held in New York, where he developed his understanding of Renaissance choral music, then pursued his expertise in Gregorian chant with Dr. Walter Bahn of Catholic University. He performed in New York for six years as a choir member/section leader with professional choral groups, including the West­minster Choir and the Kent Singers. Rick has sung under the direction of Simon Car­rington, Riccardo Muti, Robert Shaw, and Leonard Bernstein. When Rick moved to Colorado, he sang with the Ars Nova Singers for 12 years. 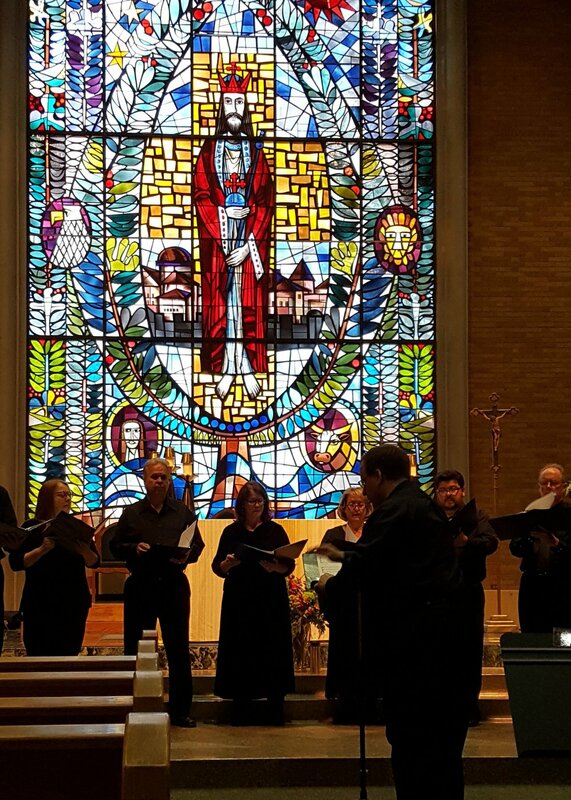 Rick recently com­pleted his sixth season with St. Martin’s Chamber Choir, and in 2012 performed as associate director of music for the inception ceremony of Archbishop Samuel Aquila. Rick is currently the Music Director of Our Lady of Mount Carmel Parish in Littleton. He has been a music editor for over 20 years, and is sought after to edit hymnals and rare Renaissance manuscripts, with nearly 1,000 editionsof choral music as well as hundreds of editions of Gregorian chant to his credit. Renaissance music is Rick’s passion, and he is delighted to pursue that passion with Vittoria Ensemble. When Rick isn’t singing or directing, he enjoys spending time with his beautiful wife Anna and their seven children. Evan graduated from Northland College, Ashland, Wisconsin, with a Bachelor's degree in Music. He has 28 years of choral singing experience, and has performed in many different choral ensembles across the country. 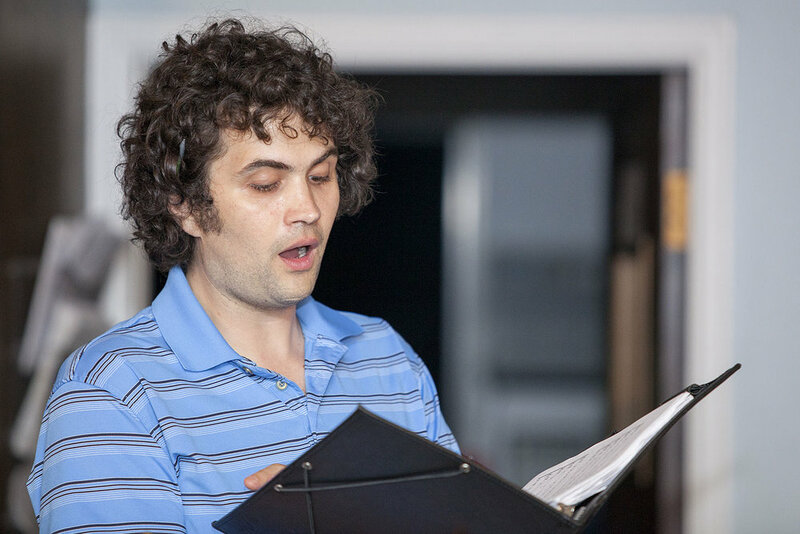 Evan has sung with the 2003-2004 Colorado All- State Choir, the 2004 Colorado All-State Jazz Choir, the 2007-2008 Wisconsin Collegiate All-State Choir, and the 2013 Manhattan Concert Productions Festival Ensemble. 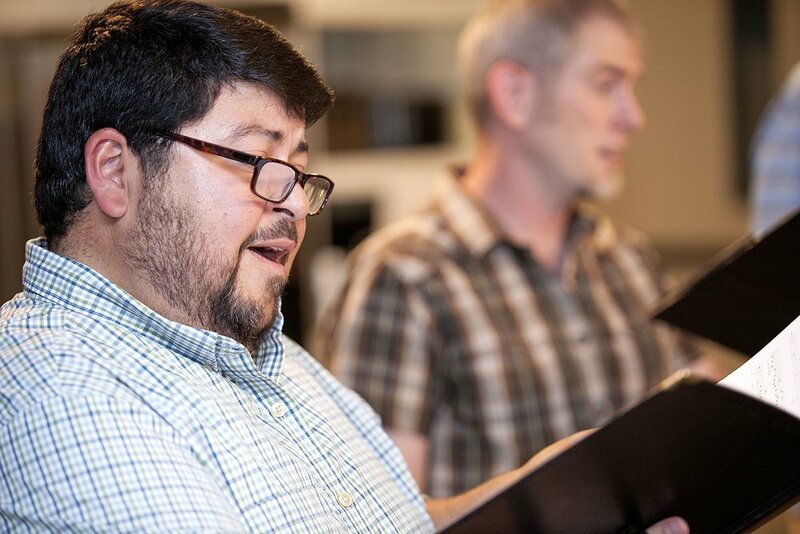 Since 2011, Evan has sung in many Denver choral ensembles, including Kantorei, Confluence, Opera Colorado, Canto Deo, Augustana Lutheran Church, Christ the King Catholic Church, and Holy Ghost Catholic Church, at which he is the tenor soloist. Evan has been with Vittoria Ensemble since its first concert in 2011, and is a past president of its Board of Directors. Evan is also the Director of Operations for Denver's Dangerous Theatre, where he produces and directs unpublished theatrical performances. Evan conducted select choral pieces in concert during his time at Lakewood High School, and continued to train and direct small pieces with Dr. Jared Anderson during his time at Northland College. Evan recently directed his first piece for Vittoria Ensemble for its Spring 2017 concert, Mary Speaks, and he is excited to expand his directorial output going forward.